Energy efficiency is here, but it doesn’t sell products. 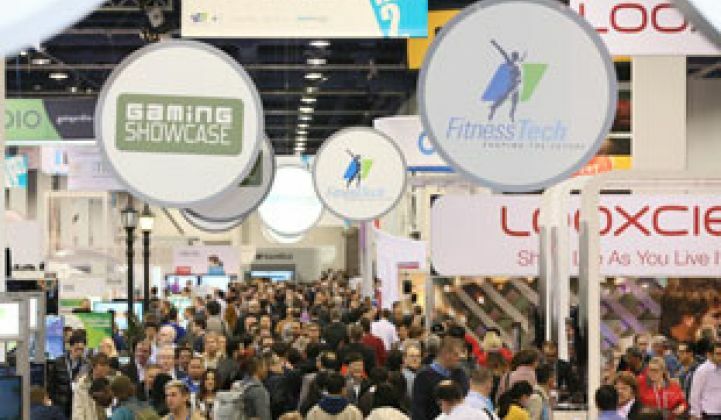 At this year’s International Consumer Electronic Show in Las Vegas, amidst a vast array of wearable technologies, there was an endless supply of products that claimed to be part of the connected home experience. The focus on the connected home, or "smart home" if you prefer, is certainly not new in 2014. But this year, it seemed like there were more platforms and more options for everyone, rather than just cool stuff for wealthy homeowners or a Jetsons-style fantasy. Product developers are finally tuning into consumers’ needs and delivering solutions at price points that many people might actually consider. Even though energy efficiency, primarily in the form of smart thermostats, is a core part of many offerings from telecoms, big-box stores and security companies, it continues to take a back seat to what the connected home is really about: convenience. “Nobody wakes up in the morning and says, 'I feel really disconnected from my house,’” said Ohad Zeira, director of product management for Belkin. And yet many people would love to have a thermostat that turns itself down after the last person leaves the house in the morning and turns itself back up before the first person comes home in the afternoon. The expansion of connected home came with a series of announcements, such as HomePlug expanding its global membership, Enphase partnering with Nexia, Alarm.com won the CEA’s Mark of Excellence award for its geo-services technology, and Staples and Zonoff expanded their partnership for home and office automation. There were no big splashes, however, and no new entrants that will shake up the market. During one panel focusing solely on home automation, the term “energy efficiency” was not bandied about; in fact, it didn’t even get a mention. Instead, the conversation was about achieving a seamless experience, how to get the mass market engaged and just how nascent the market still is. “We look at it as the Wild West; we see a lot of interesting point products,” said Mike Soucie, Revolv co-founder and Head of Marketing. The issue of standards was less significant than market pull, most of the panelists agreed. Matt Rogers, co-founder of Nest Labs, suggested the market is a decade from the connected home becoming a reality. John Ouseph from GE’s Home & Business unit said that wherever the market moves, GE would ensure its products connect to that platform. Some features, like networked LEDs, might be a harder sell than home security in the near term. “If you can experience it, you get it,” said George Yianni of Connected Lighting. But even though LEDs offer long-term energy and money savings, there was no suggestion from panel members that those factors will be the primary selling points. Instead, it is the customer experience and controls factor that Yianni suggested would sell LED networks in the home. It’s not bad news for the energy-efficiency players that energy is a sideshow. Rather, it is an evolution that these products now have appeal that reaches far beyond energy geeks, and it’s time to market them that way. In coming years, it will be a land rush to get the most coveted products onto platforms. It will likely be open-source platforms that will take the lead, but it will be many years before winners will be crowned. One exhibit where energy was still front and center was Ford’s MyEnergi Lifestyle, which brings together Ford electric vehicles, Eaton charging stations, solar power and smart appliances. Ford says that families owning the whole package could cut energy costs by up to 60 percent. Ford also displayed a C-Max Solar Energy concept car at CES 2014 that it described as a “plugless plugin.” BMW and Tesla also had electric vehicles on display, and Toyota previewed a hydrogen fuel cell-powered sedan concept car. And back on the home front, if you're wondering whether the wearable technology trend that dominated CES this year could expand to energy, it very well may. For children without smartphones, imagine a wristband with geolocation technology embedded that could communicate with locks and lights if they arrive home with the babysitter while parents are still at work.